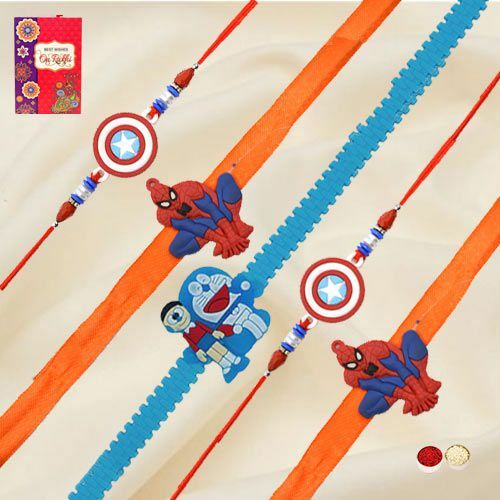 Convey your heartfelt Raksha Bandhan greetings to every one you adore by sending this Auspicious Five Rakhis for Children that comes with a free Rakhi, Roli Tilak and Chawal to make those people feel more loved. This Surprising Five Rakhis for Children is Nicely Gift Wrapped. The Design may vary a little.